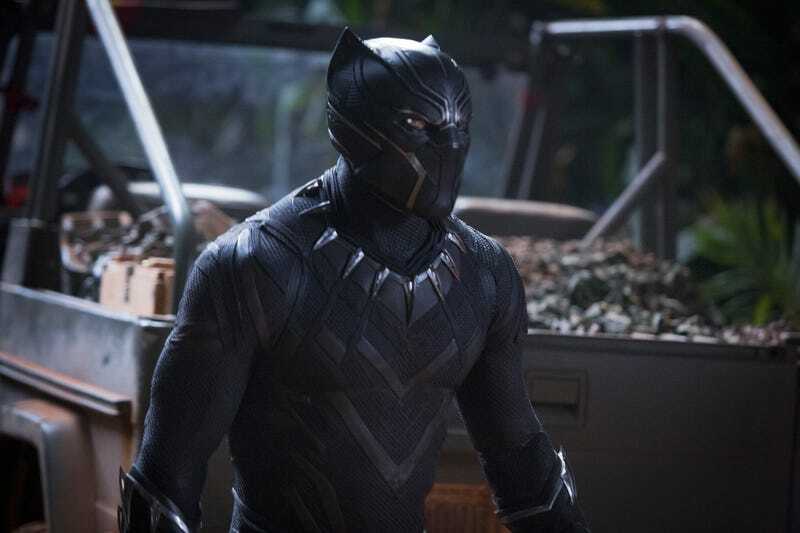 With the debut of Black Panther on February 16, Marvel is kicking off a new trilogy and a new era in its superhero movies. Ryan Coogler’s film is the first MCU movie to have a black lead (Chadwick Boseman), as well as a predominantly black cast. Black Panther will also pull the curtain back on Wakanda, the fictional nation that T’Challa (Boseman) rules and protects alongside his royal guard, the Dora Milaje (led by Danai Gurira’s Okoye). Michael B. Jordan co-stars as Erik Killmonger, a pretender to the throne in more ways than one. Black Panther has been tearing up pre-sale records, which may have affected your ability to snag a ticket to opening weekend. But fear not, true believers: The A.V. Club has a limited number of tickets available to a February 13 screening at Navy Pier IMAX, 700 E. Grand, at 7 p.m. CT. Just send an email with your pertinent info to avcontests@theonion.com. We’ll pick 10 winners on February 7, who will each get one ticket to the screening, and notify them by email. Winners must pick up their tickets by 6:45 p.m. CT, so get there early!